People who have their own homestead or even a large backyard may want to have chickens for meat or eggs. Raising chickens means they may be free range or confined to a specific area. Allowing chickens to free range might seem like a good idea, but problems can arise. If chickens are not staying in areas that are preferred, then a chicken tunnel may be a good option. Chickens will easily dig up areas of your yard and kick up dirt as they forage for food. Building a chicken tunnel is a great way to direct your chickens to specific areas. You can easily build tunnels that are easily movable to have chickens work a different area. The purpose of a chicken tunnel is to provide a pathway for your chickens to navigate when they want to be out of their coop. A yard or a garden that has weeds or overgrowth is a great place for your chickens to find food. Another reason to build a custom chicken tunnel is to keep your chickens in confined area, but permit them to walk around. 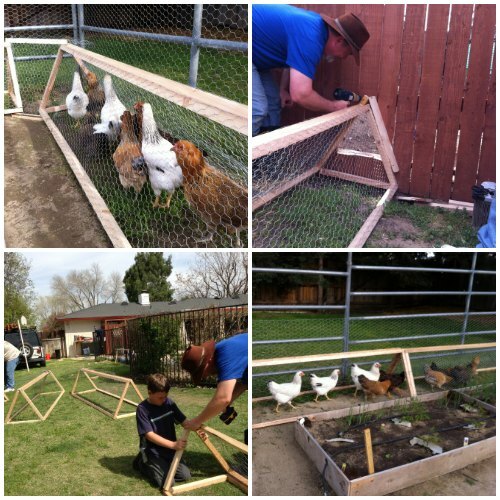 A typical chicken tunnel can be built using slats of wood and chicken wire. The idea is to construct a frame that will be covered with chicken wire. These can be built in modular pieces that can then be placed in any area to easily allow chickens to free range around your yard. The size of the tunnel should be slightly bigger than an average chicken. You can find all the materials for building a chicken tunnel at a local home improvement store. The frame can be assembled with screws or nails and a staple gun can be used to attach the chicken wire. Building tunnels for your chickens can be done in just a few hours and is a great weekend project.